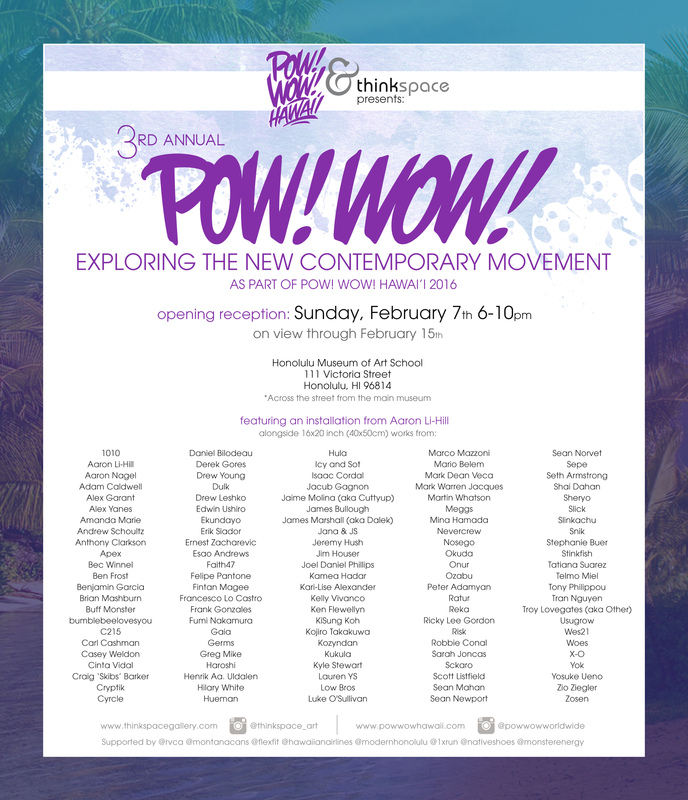 Coming up this weekend at the Honolulu Museum of Art School will be the ‘3rd Annual Exploring the New Contemporary Art Movement’ as part of this year’s POW! WOW! Hawai’i mural event. For the third iteration of Thinkspace’s special exhibition for POW! WOW! Hawai’i, we have curated the largest survey of the New Contemporary Art Movement to ever take place in Hawaii (or just about anywhere else for that matter). This special exhibition will feature over 120 local and international artists curated by Los Angeles-based gallery Thinkspace. The massive group exhibition serves as a survey of the burgeoning New Contemporary Art Movement for art lovers on Oahu and the world over via the internet, handpicked by one of the scene’s most prolific galleries.